You will immediately feel at home upon entering Rosewood cottage, with the warmth of the wood heater to greet you in Winter or the cool air conditioning in Summer. 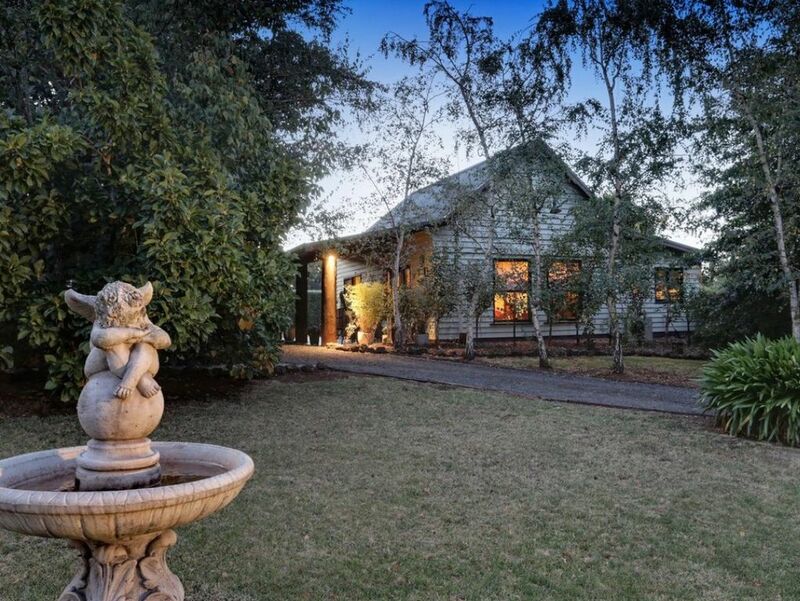 Situated between the Dandenong Ranges and the Yarra Valley on a 1 acre property, your private space has 2 bedrooms both with queen size beds, fully equiped kitchen, living area, 1 bathroom and separate toilet. Surrounded by private gardens you will enjoy complete privacy away from the main residence. Enjoy a glass of wine or your morning coffee on the private rear deck. Please note that the 2nd bedroom is separate from the main cottage but in close proximity...(approximately 2 metres), giving ultimate privacy for 2 couples to share. Centrally located and only 10 mins or less from the townships of Emerald, Monbulk and Gembrook, you can enjoy all that the hills and the valley has to offer. Stay a night or stay a week. Either as a base to take in the many local attractions or simply sit back in the cottage and enjoy the tranquility. We really enjoyed our 2 nights at Rosewood Cottage. It was super clean, well-equipped, spacious and quiet. The gardens are beautifully kept and the cottage is well-maintained. Communication with the owner was easy and location instructions were very clear. We really appreciated the host leaving basics for breakfast along with coffee and tea. I would highly recommend Rosewood Cottage as a base if you are staying around the Macclesfield/Emerald area. My family really enjoyed the stay at the Rosewood Cottage. It had that lovely country feeling to it. The host was very nice and attended to our needs when required. I would come back and stay here again. Was a lovely tranquil cottage, felt homey and private - would highly recommended. My friends and I really appreciated the air conditioning being on upon arrival 😁 as it was a hot day. I stayed on the weekend with a couple of girlfriends and we loved it. The surroundings are lush, property is very well maintained and communications with Debra and Collins were very prompt. Everything you need is in the cottage and we had fresh eggs & bacon ready for us in the fridge, not to mention lots of condiments there for your use. We left feeling extremely relaxed and the cottage is extremely homey. Will definitely bring the family back to stay.